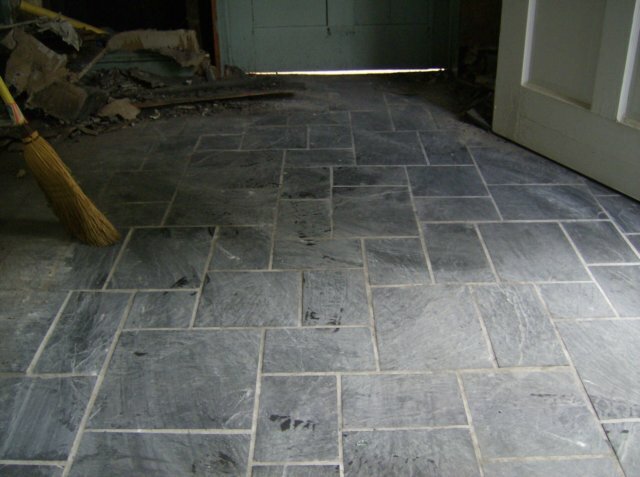 The slate entry way into the Annex suffered only incidental damage. It is remarkable that the door at the rear of this picture goes directly into the destroyed sanctuary portion of the building; daylight can be seen streaming under the door. The heroic efforts of the firefighters kept the Annex portion of the building almost completely undamaged.